Birthplace : Albion, Maine, U.S. The death of the American newspaper editor and abolitionist Elijah Parish Lovejoy at the hands of a mob in Illinois gave the antislavery cause its first martyr. Elijah P. Lovejoy was born at Albion, Maine, on Nov. 9, 1802, the son of a Presbyterian minister. He graduated from Waterville College (renamed Colby) in 1826 and, after a brief period of school teaching and newspaper work in St. Louis, Mo., studied for the ministry at Princeton. On receiving his license to preach he returned to St. Louis to edit a Presbyterian weekly, the Observer. His editorials on slavery soon brought protests from his readers, for even the gradual abolition of slavery that Lovejoy proposed was controversial. A meeting of citizens in 1835 warned him to desist, but Lovejoy refused to modify his position. On March 4, 1835, he married Celia Ann French. In early 1836 Lovejoy published a full account of the brutal lynching of a free African American in St. Louis, including a report of the trial that acquitted the mob leaders. Threats of personal harm and lack of support by the Presbyterian General Assembly soon led him to move to Alton, Ill., 25 miles away. When the Observer's press, left unguarded on the Alton dock, was smashed and thrown into the Mississippi River, local citizens pledged money for a new one. 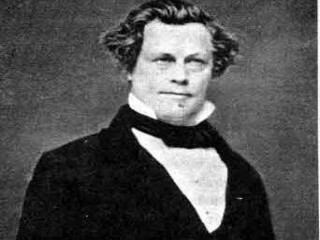 Lovejoy's abolitionism, however, grew increasingly aggressive, and his press was destroyed again in 1837, 2 months before he helped form the Illinois auxiliary of the American Antislavery Society. When his third press was thrown into the river, Lovejoy wrote in his paper, "We distinctly avow it to be our settled purpose, never, while life lasts, to yield to this new system of attempting to destroy, by means of mob violence, the right of conscience, the freedom of opinion, and of the press." By this time his uncompromising abolitionism and defense of free speech had received national attention. At the request of Alton's mayor the Observer's fourth press was placed in a warehouse for safekeeping. Lovejoy's friends gathered about 50 armed men to guard it. On the evening of November 7 some 20 or 30 local citizens surrounded the warehouse. Responsibility for the first shot was never fixed, but one from within the building killed a member of the attacking group. There was more firing from both sides, and when several defenders rushed out to extinguish a fire on the roof, Lovejoy, standing in an open doorway, fell with five bullets in his body. He died within the hour. After his supporters surrendered, the mob burned the warehouse. The fact that Lovejoy died defending the freedom of speech and press was the subject of hundreds of sermons and editorials throughout the North. His death, wrote John Quincy Adams, "gave a shock as of an earthquake throughout this continent." View the full website biography of Elijah P. Lovejoy.